A good, normal, "bill of health" is required. Tandem students cannot be under the influece of drugs or alcohol. Persons over 100 kg are subject to tandem instructor assessment. Upper weight limit is always 110 kg (weight includes clothing and shoes that you will be jumping in). You need to be 18 years old to do a tandem skydive. 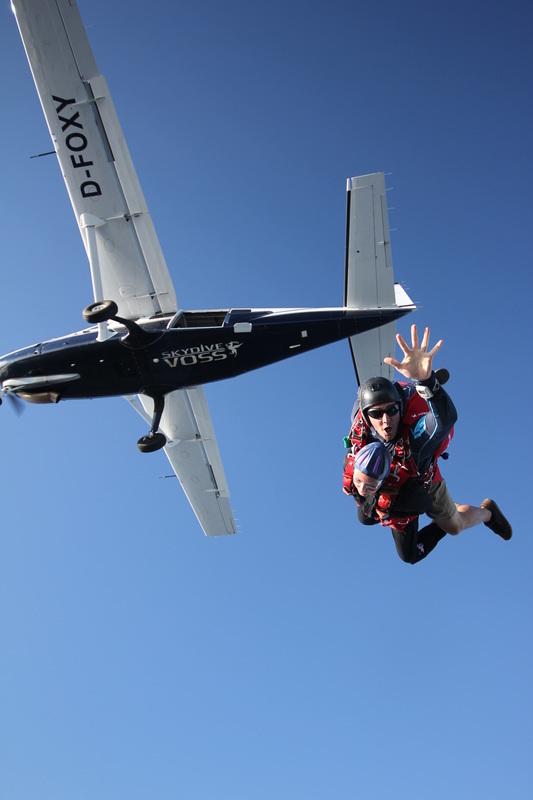 16 to 17 year olds are required to have one parent/legal guardian present, and written permission from both parents/legal guardian if they want to skydive. Tandem students over the age of 70 must bring a doctors letter stating they are fit to do a tandem skydive. All tandem students are required to sign a health declaration and insurance form prior to skydiving. If you are not sure about your fitness or ability to tandem skydive, please contact us prior to booking.